First Sentence: "Like any orphan, I wished that someday my real family would come for me." Description: Destiny has a way of catching up. 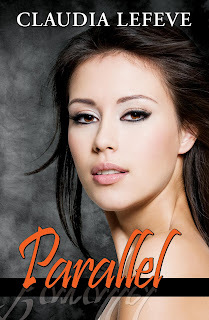 PARALLEL is the first book in the Travelers Series. If I could describe Parallel in one word it would have to be gripping. I read the complete book in one sitting. I did have a hard time following the concept of “traveling”. You see, the book centers around the idea of parallel universes; Etta learns that she was hidden in an alternate universe for her own protection. She is then brought back to her original dimension. But nobody knew she was missing for years. Are you confused? I was too. Then, Lefeve added in the concept of time travel to the mix and I was completely lost. The thing is, I really enjoyed the storyline. It was incredibly creative and I really wanted to be able to grasp everything that was happening. I am going to have to go back and reread it at some point; I feel like this is the sort of book you will never quite understand the first time around. Etta was likable enough, but still did not really stand out to me. Lefeve has created an interesting enough base for Etta and I am hoping that she will really blossom in the next storyline. In Parallel, Lefeve is able to do some character building, but the main focus is setting up the world. Well, worlds. 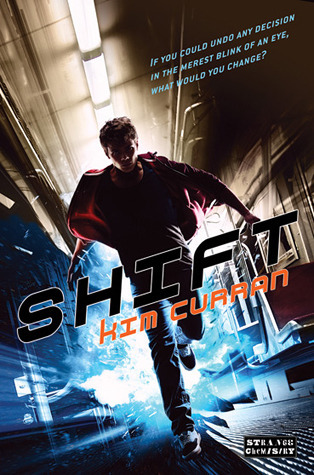 It’s a lot to take in and unfortunately, it causes the characters to fall a bit flat. However, they all have a great deal of potential. I am particularly interested in the relationship between Cooper and Etta. There is a twist involving the pair at the end that is sure to surprise readers. I did see it coming, but now I am left with each more questions. To be perfectly honest with you, I really enjoyed Parallel. Yes, I have about a gazillion questions, but hopefully they will be answered in book two. My only complaints are that the characters were a bit flat and the ending isn’t really much of an ending. I felt like it should have kept going; I did not get much closure at all. Things were just picking up and then Lefeve hit me with the dreaded “to be continued…”. But, in the grand scheme of things, Parallel was exciting, creative and thought provoking. I would not call it a light-read (my mind is still reeling), but it was certainly enjoyable! It's us against the system. This is the kind of thing that happens to good looking girls like Jaime, who are prepared for these types of social interactions, not someone like me. Single girl survival tip 101: always let strange men know you're not alone. And now, thanks to Cooper, I didn't even know what world I belong in. "Did I miss something? How are we here already?" Surely I would have noticed traveling into another dimension. I liked this book very much. Physics was a favorite subject of mine. I can't wait for the next one. I am certain Cooper will be explained. It surely beats the same old same.